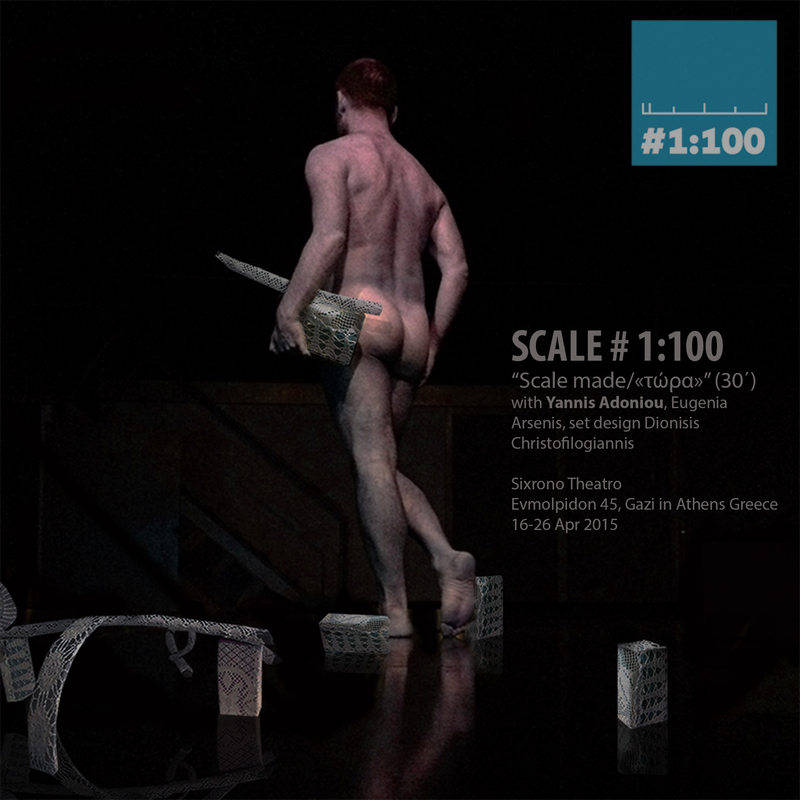 A new work by Yannis Adoniou and Eugenia Arsenis with scenography by Dionisis Christofilogiannis. 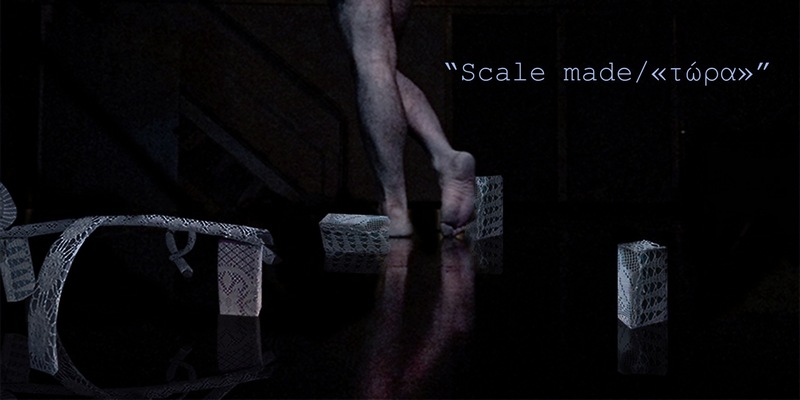 A body transforms on stage through text and objects. «… I see everything from above, like a ride at a luna park` you get dizzy up there but you are free, you scream your fear, you do not strangle it for one more time”. Dionisis Christofilogiannis (b. 1973, Greece) Lives and works in Athens. Graduated from the School of Arts of Cluj Napoca in Romania. Founder of DL Projects and artist/coordinator of the White House Biennial.Solo shows has shown at the Muzeul de Art? Cluj-Napoca, Nakagawa Gallery Tokyo and in Athens. Recent group exhibitions have included “The Kennedy Bunker” in Berlin curated by Nicos Charalambidis (2014), “Uber-Bodies” at Hydra School Projects (2014), “The Red and White flag Project” parallel on Biennale4 Thessaloniki (2013), “SelfConcious” curated by Sotirios Bahtsetzis (2013), “Civilisation (genres and cases)” curated by Alexios Papazacharias (2013). He has also co-curated several exhibitions, including the “In the Studio” at Kunsthalle Athens (2013), “I fought the X and the X won” at the National Museum of Malta and Romania (2011), “The Cutting Edge” in Romania (2011). In addition to having exhibited widely in Greece and internationally, ha has also worked as set designer in Romania National Theaters of Timisoara, Cluj Napoca, Braila with Razvan Mazilu and in National Theater of Athens with Robert Wilson.